I wasn't really a social butterfly growing up. I'd find a few friends, and was more comfortable in the small circle of friends that resulted. Then as a mom I started to crave adult conversation, and that desire for just a couple of close friends started to change. I simply wanted to converse with people... so I started making more acquaintance level friends simply to have people to hang out with for an hour here or there... Granted some of these "acquaintance" friends have become super close friends. All this to say that in order to build real relationships we have to converse with people on a regular basis. We crave that interaction... but why? It seems safe to say that the Creator designed us so that we would crave relationships, and that relationships would need regular communication between the parties. The next question would have to be, then how do we communicate with our Lord? Obvious answer: Praying.... But how do we do that? 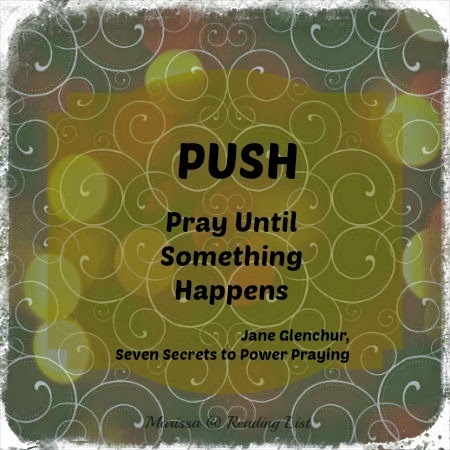 Seven Secrets to Power Praying is a book that reflects the personal prayer journey of Jane Glenchur and how she has learned to turn to God in asking for everything and anything. 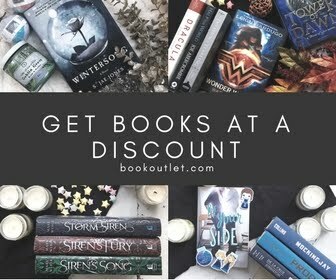 It allows the reader to see into the steps she has taken to grow a relationship with God where discussing many things that come to her mind throughout the day seems natural. 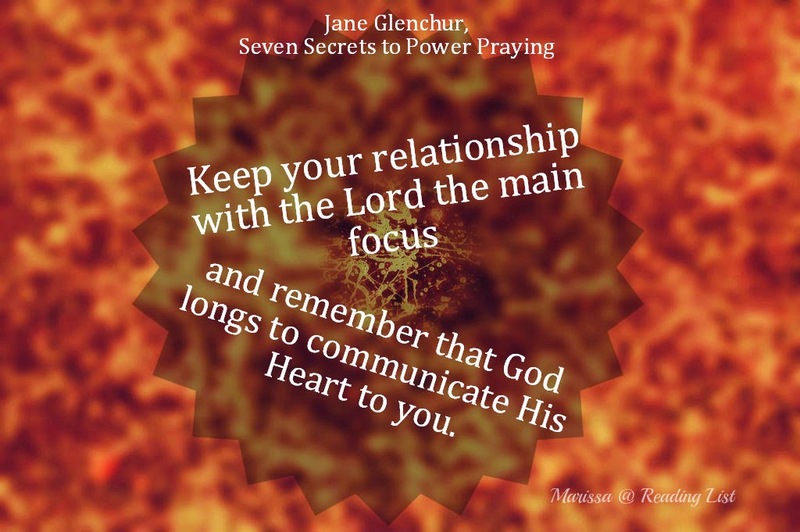 The book is broken down into three sections where Glenchur discusses the need to turn to God in prayer, the seven secrets she feels lead to power praying and how to grow your relationship with God through prayer practically. In each chapter Glenchur has some great points that are practical and yet tend to require a good amount of faith. Yes, many of the points Glenchur makes are not ground breaking to Christians, like we need to pray about everything and trust God to answer our prayers. But the twist in her personal stories that show how she grew her faith and trust by praying more and more and getting more and more answers. I really liked the practicality of these steps. Glenchur did a great job of keeping this straight forward and simple. She didn't have some great lofty, hard to attain steps. She simply shared the process she took as she grew her relationship with God through prayer. And by prayer, she means making requests, aligning her heart with God, and listening for answers. However I had some issues with a few of her points. Particularly a point made about God wanting "to be in a partnership" with each of us. (p 65) I can understand what she might have meant, but that is not how it read to me. To me, it sounded like she was saying God wants us to pray and have a relationship so we can be partners, that we will allow him to answer us then weigh the options and decide what to do... Which let's be honest is how most of us approach God. But I'm not convinced this is His desire for us. When I read about God as the master and us as his servants, I don't really picture such a partnership - neither do I picture some slave-master... Also, the concept of the Potter and the clay doesn't mesh with this idea for me. 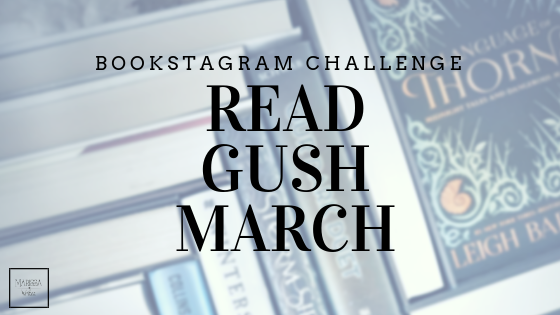 And my second hang up in this book was that the length hurt Glenchur's credibility. The chapters were simply too long for the points she wanted to make. The point was often made in one or two paragraphs, and then there was a flourish of a personal story. But to make this a longer book the chapters droned on and points were made that didn't really add anything, and sometimes hurt the original wisdom shared. This was particularly true for me in chapter eight where there were so many jumps in points I simply stopped absorbing anything. I would say that if you are looking for some basic steps to learn to improve your relationship with God through prayer this book could very well be for you. There are some great take-a-ways tucked into these pages. And as one who has always believed in the power of praying, just a little unable to grasp the power, I feel that I did gain some great insight and direction to how to proceed with this spiritual discipline. I have to give this book a three coffee cup rating because I feel that some of the points made were not sound. And that the length sabotaged the overall message. 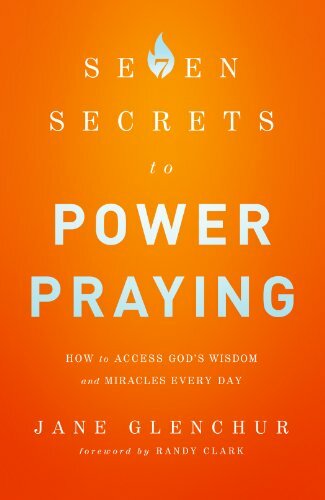 I would say this book is for believers who are looking to grow their praying abilities. This is probably not for a new Christian who is simply looking for a beginning how-to. There are some concepts that are hard to swallow here, and not enough Biblical foundation to start from. If you are able to discern truth out of personal experience and testimony and apply what is helpful, then this is a great resource... but keep in mind this is one woman's opinion based on her experiences. What do you think of power praying? Do you struggle with your prayer life and want to grow it?